ACCEPT will be hitting the Main Stage II at the Graspop Metal Meeting Festival in Dessel, Belgium on Saturday, June 23rd, 2018 . 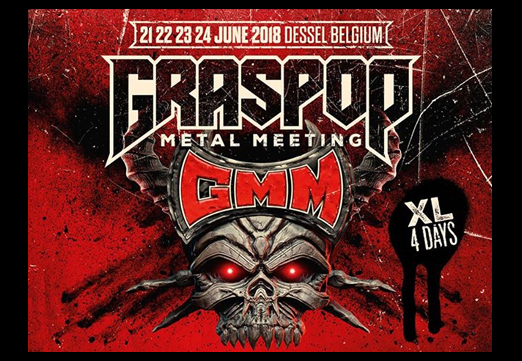 Graspop Metal Meeting 2018 takes place from 21-24 June. For the 23rd time, the Stenehei festival venue in Dessel will rock to its foundations! In keeping with a proud tradition, GMM2018 will bill the crème de la crème of a variety of heavy music genres ranging from hard rock to death metal, from black metal to punk, from metalcore to thrash and many more. Tens of thousands of metalheads from across the globe will once again flock to Dessel for a high mass of epic guitar violence, high-octane blast beats and gut-wrenching screams. So start training those neck muscles now! We will see you there!!! !